We’ve seen everything this winter in the Omaha area, from snow, rain, and hail, to unseasonably warm days. Our vehicles really have to go through a lot with brine solution, salt and sand on the roads, along with ice, potholes, and temperature variances. But fear not, spring really is just around the corner. Preparing your vehicle for spring can save you a lot of headaches later in the year. It can even save you money! Here are some tips from Great Plains Auto Body Shop to keep your car in tip-top shape. Winter driving is hard on your vehicle’s tires. Aligning and rotating your vehicle’s tires ensures safer wearing and will get the best life out of the tires. It’s also important to monitor tire tread and make sure none of your tires are balding; they will need adequate traction for the rainy months ahead. TIP: If you were using winter tires, remove them altogether and replace them with all-season or summer tires. There’s nothing worse than stalling out in the middle of the highway, which may happen if your car’s battery isn’t working at its peak potential. Winter puts a strain on your vehicle, and the salty air may have caused damage to the posts and connections of the battery. Your car may suddenly lose power, or possibly even catch fire, so be sure to inspect your battery for damage, and replace the battery if it has been used for more than four years. Salt spray, dirt, ice all result in torn-up wiper blades at the end of the winter months. You don’t want to be caught blinded by ineffective windshield wipers if there is a sudden downpour. If your blades are relatively new but already streaking, try adding a small amount of nail polish remover (acetone) on a paper towel and then wiping both swipe sides of the wiper blade with it. This will slightly dissolve the top layer of rubber and may prolong the blade for another few months. However, be sure not to get any of the remover on your paint! 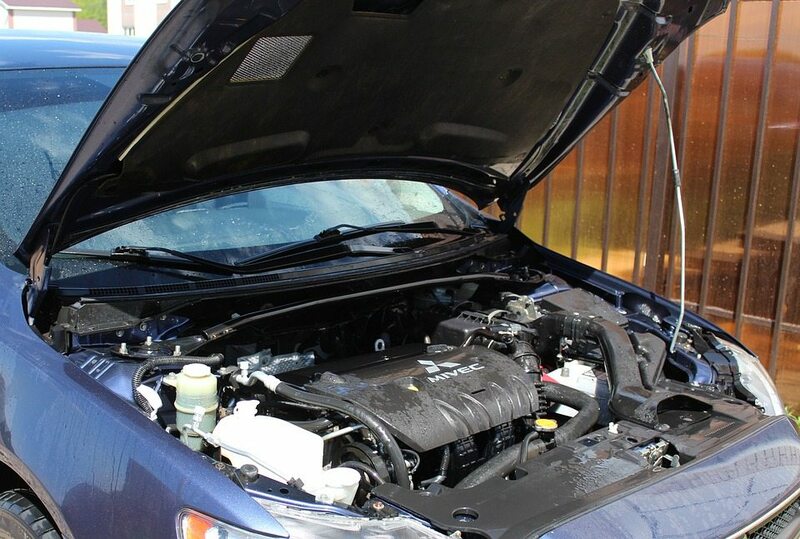 Get all of your vehicle’s fluids topped off and filled, especially windshield wiper fluid. It empties quickly during the winter when it is constantly being used to clean grime from the windshield. Engine oil protects the engine against wear and tear. It is important to keep it full so that the engine and its working parts continue to function properly. Another important fluid to monitor is brake fluid. Brake fluid transfers the pressure from your foot on the pedal to the wheel. If the brakes do not have enough fluid, it will take more time and effort to stop your vehicle.